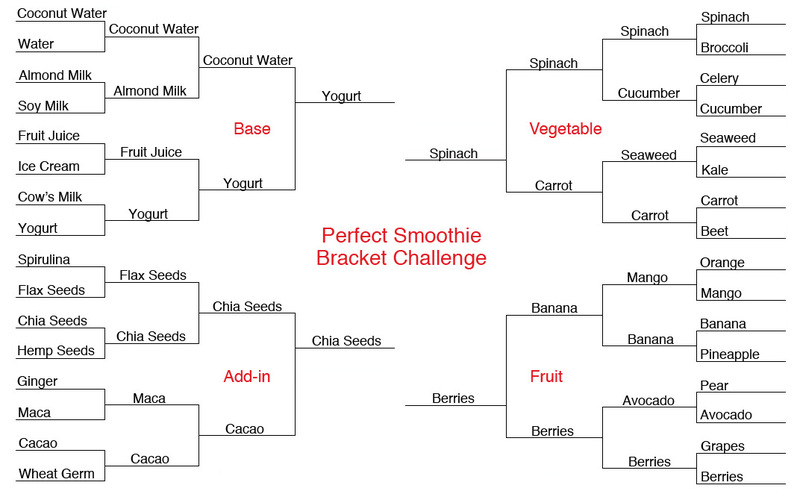 The Perfect Smoothie Has Been Decided!! Yogurt + Spinach + Berries + Chia Seeds!! Sounds delicious to us! Here's our completed bracket, and enjoy the end of the college basketball madness tonight!